• Continued building on record tourism and international business development -The Ige administration brought more global travelers to the state and expanded routes from the U.S. mainland and Asia. The Entrepreneur Sandbox in Kaka’ako, a public innovation space set to break ground in 2018. • Expanded programs to build an innovation economy -These efforts ranged from STEM education in the DOE and UH to Department of Business, Economic Development and Tourism’s efforts to promote small business, startups and the Entrepreneur Sandbox in Kaka‘ako, set to break ground soon. 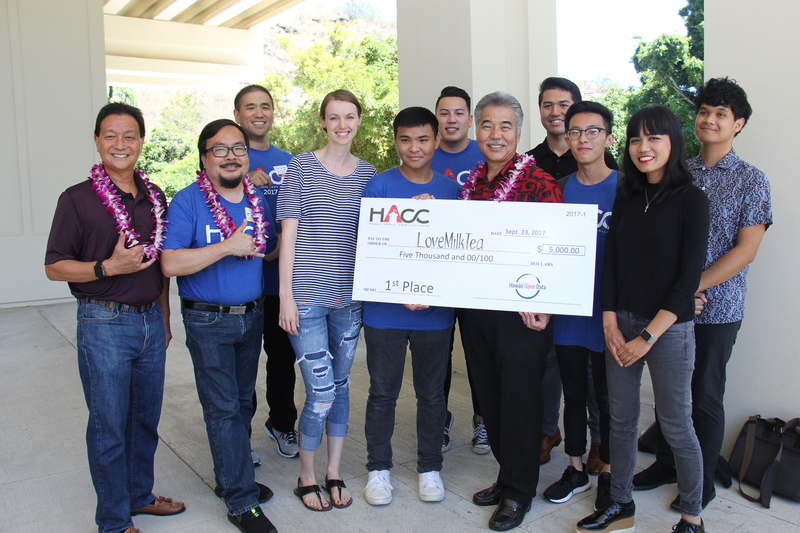 • Founded and expanded the Hawai‘i Annual Code Challenge – Based on an idea from the governor, the state paired several hundred coders with state departments to improve services. “The HACC proves we have the local talent to find solutions to government challenges,” said the governor.